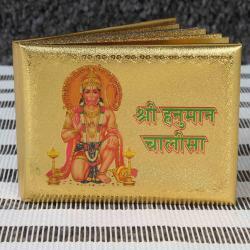 Product Consists : Gold Plated Aarti Sangrah Book In a Gift Box. 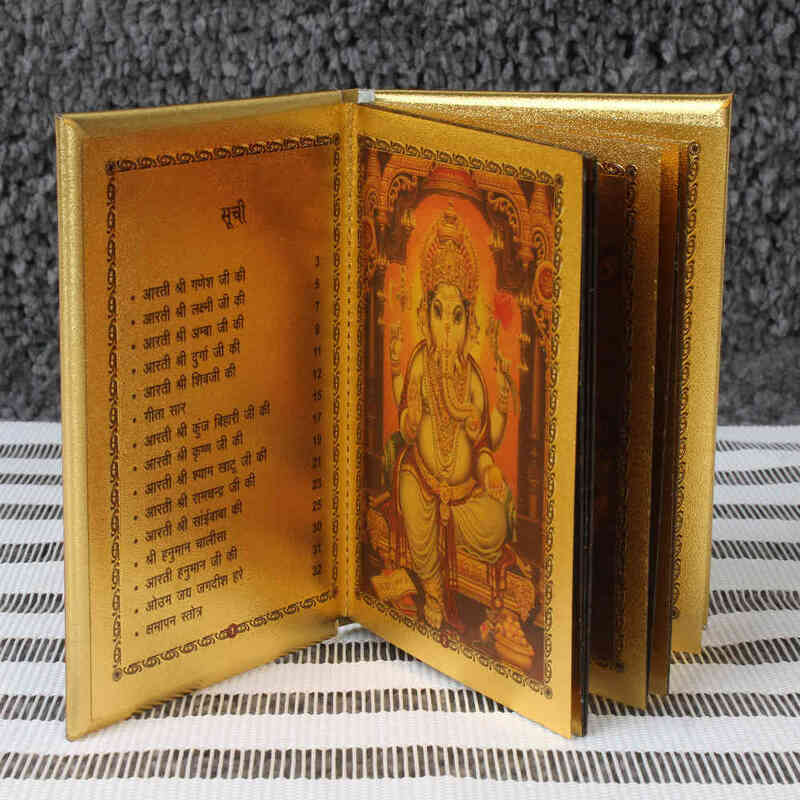 We have brought Golden Plated Aarti Sangrah Book which contains God and Goddess Pictures with Prayers, introduced in attractive designs, smooth finish and vibrant color utilization. Aartis are the lyrical in the introductory. Aartis also refer to the songs sung in praise of the deity, when lamps are being offered. 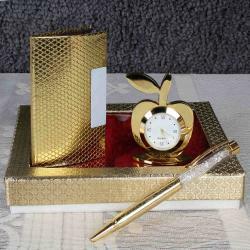 Rich look complete AARTI SANGRAH each page is coated with 24kt gold Its the best gift for corporates, friends, family or even self. Aarti Sangrah is a collection of Most useful Aartis which is used in Indian Festivals, Puja and other religious functions. 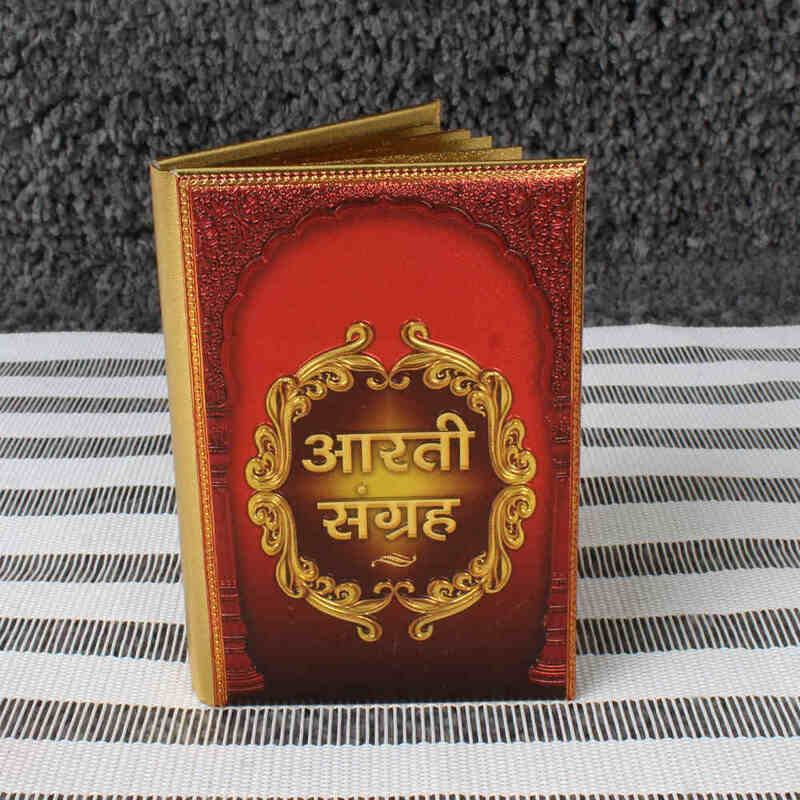 Product Consists : Gold Plated Aarti Sangrah Book In a Gift Box.